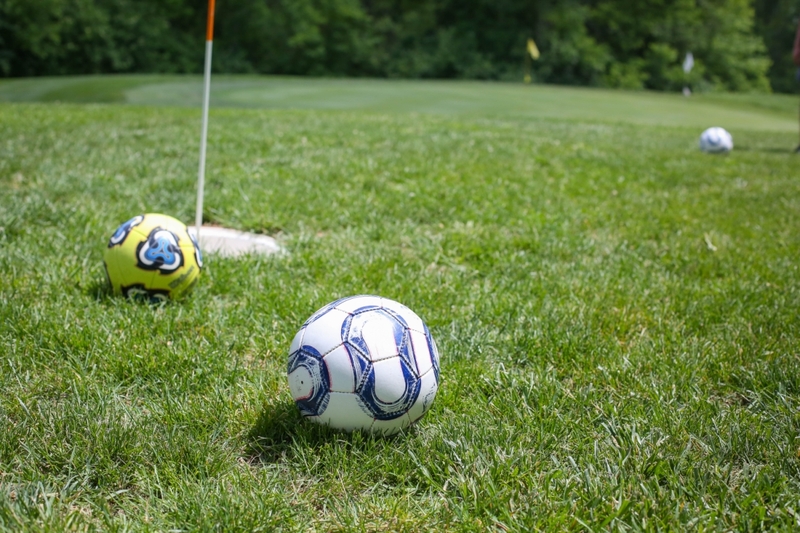 FootGolf is a mixture of soccer and golf using a regulation sized #5 soccer ball and it is played on a golf course following the rules of golf. Players try to kick the ball into a 21″ hole with the fewest shots. Each kick equals one stroke. Played on our Executive nine hole course. 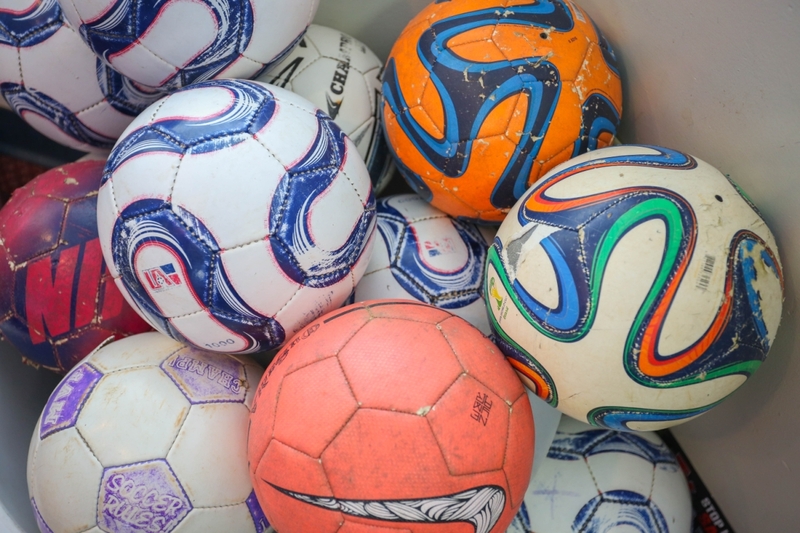 Everyone must play their own #5 soccer ball and have a valid receipt for FootGolf to play. Cleated shoes of any kind are not permitted – only soft soled footwear or spikeless golf shoes are allowed. FootGolf kicks are not permitted from a traditional golf green. If the ball lies on the putting green used for regular golf, the ball should be removed and dropped on the ground within ten feet of the green, no closer to the FootGolf hole without penalty. Tee off using the same tee box markers used by golfers. Kick to the designated FootGolf flag and 21″ hole. Scoring is the same as traditional golf with the exception of the maximum amount of kicks is double par. Co-existing with traditional golf is essential – FootGolf and traditional golfers alike. Be aware of your surrondings. The ball must be played in a single movement. You are not allowed to push the ball with the top or bottom of your feet. Party Packages - Call 314-355-7277 to schedule a party. If booking a birthday party you may bring in your own birthday cake! Eagle Springs Golf Course is an Accredited FootGolf Course of the American FootGolf League (AFGL) that promotes the sport of FootGolf under the rules and guidelines of the Federation of International FootGolf (FIFG).